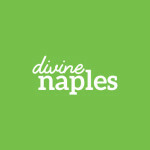 DesigningNaples will exceed in service and resourcefulness for every client. We make sure your project is completed correctly, because we listen to our clients first, we know where to secure vendors and purchases. Our level of experience in the industry, education & resourcefulness is applied to every project we undertake. We bring ASID award-winning credentials to the table in both design and service. And, because we believe in maximizing the potential of our partnerships, our relationships with subcontractors and trade members allow us to bring you superior craftsmanship. Sarah Anderson ASID, has been photographed & published nationally for her signature work in: CHICAGO TRIBUNE, PALM BEACH PRESS, D MAGAZINE, CHICAGO MAGAZINE, SUBURBAN LIFE (Division of the Chicago Tribune), DAILY HERALD, GULF SHORE LIFE MAGAZINE & others. Sarah has been practicing interior design with clients in the Naples, Bonita and Sanibel Island areas over the last seven years, while traveling to Chicago to serve on the ASID Board as a Director and to execute additional projects. Welcoming Sarah and DESIGNINGNAPLES as a Member of the Greater Naples Chamber of Commerce in the summer of 2010, she anticipates bringing a Midwestern ethic to her signature work as FL resident.